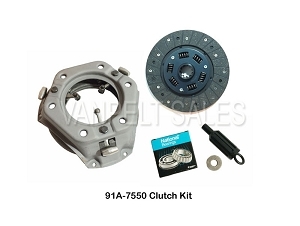 Please verify your existing clutch is currently a 9" set up before ordering to save you the cost of return shipping. The year listing below is a guide to what it "should" be but it may have been changed over the years. Note: Pressure plate is "LONG" style. Feature: 1928, 1929, 1930, 1931, 1932, 1933, 1934, 9"